Numerous jobs come together in assisted living facilities to provide care for the elderly who can no longer remain at home. Some jobs focus on the basic needs of the senior, while others seek to enhance the quality of life. The role of other jobs is to improve the person’s capabilities as much as possible to improve their level of independence. 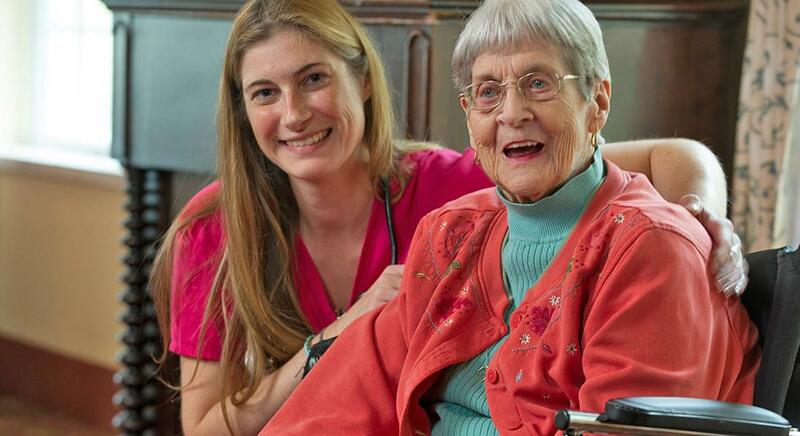 Caring for a person’s basic needs is a necessity in all assisted living facilities. 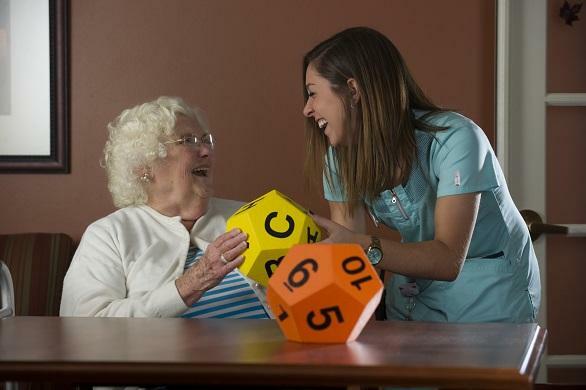 These places hire nurses and certified nursing assistants for the daily care of residents. CNAs provide personal care for the residents, which includes bathing, dressing and assistance with eating. They help with mobility and monitor the patient’s health and report any changes. CNAs work directly with the patient on a day-to-day basis. Licensed practical nurses or LPNs and registered nurses or RNs may also be part of the staff in assisted living centers. CNAs report to nurses who manage the patient’s care. They contact the doctor for the patient if there are any health concerns. The job is to oversee the care, but nurses may not see the patient on a daily basis. Some facilities do provide round the clock nursing staff who monitor the patients on a scheduled basis. 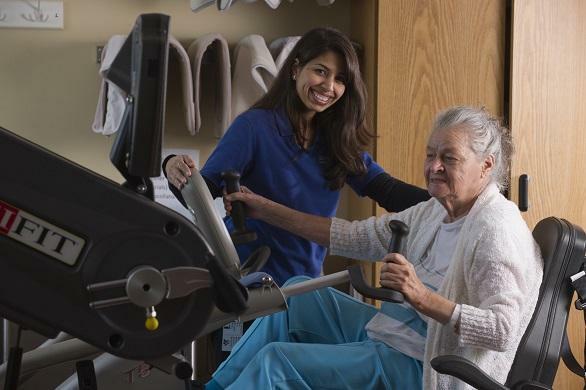 In addition to providing basic care, assisted living facilities hire staff to ensure optimal physical health within the person’s limitations. Residents work with therapists, fitness staff and dieticians to ensure the residents stay active and receive the nutrition they need. Many facilities hire rehabilitation physical therapists and occupational therapists to help a person recover from an injury or illness. They work with the patients to regain motor control and help them relearn how to do their daily routines. Speech therapists work with patients who have suffered an illness which has caused a loss of speech. This is most often seen in stroke victims, who must develop their ability to speak clearly again. These care centers are concerned with meeting all of the needs of residents, including their social and mental health issues. Many centers keep specific positions on staff to provide this level of care. The activities staff is led by a director who coordinates social events, such as bingo, crafts, karaoke and even movies to provide entertainment and interaction for the residents. The staff work with the residents to help them participate to enjoy the fun and socialization they once knew when living independently. Social workers provide information and resources to help seniors with many aspects of their lives. They work with the family to address any concerns or assist in completing documents for available programs. These workers handle any concerns over safety and protection for the patient and assess the mental and emotional health of the person. The social worker may be responsible for administering tests to determine the cognitive health of the patient or assess for depression. These health problems are more common in seniors, who may benefit from early detection. All of these jobs work together to provide for the medical, social and mental health needs of the senior. Combined, the different tasks ensure the elderly person can continue to receive the best care when they can no longer be at home.